I utterly adore Easter it’s one of my favourite times of year as a Christian celebrating the sacrifices Jesus made for us so that we could be forgiven, but that doesn’t mean I don’t love all the urban myths that go on around this time of year like the Easter bunnies and chocolate eggs. I wanted to start of this Easter off by sharing with you something fun, My favourite crafts of other blogs this 2019. 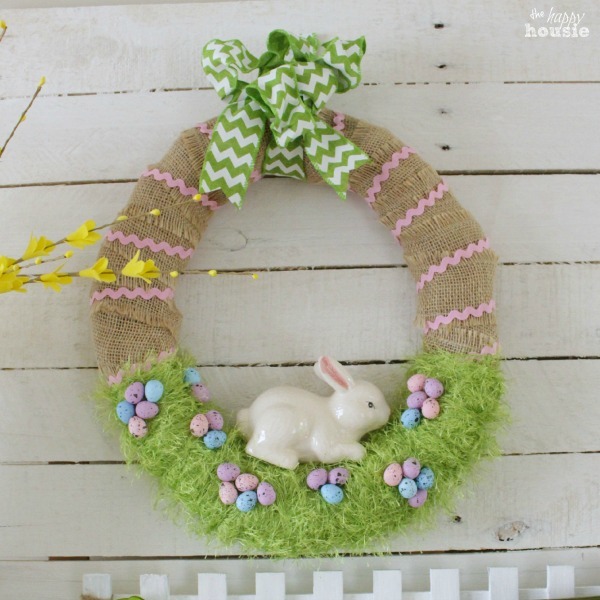 I equally love rabbit in the house square wreath by thehappiehousie.pourch.com. I think it’s a ceramic bunny on the bottom surrounded by green faux fur wool . It’s a genius way of using left over fabric and I could see it winning the alteration challenge in the sewing bee – if only it was a garment, but let’s not go there again -If your interested in making one you can buy plain ceramic bunnies from hobby craft now for around £1-3 depending how big you want them and paint them yourself and Kingcole’s green faux fur is available from £6.94 on amazon. Most people will find these large pom pom rabbits a must make this Easter, originally created by LiEr at www.ikat bag.com using 6 oz wool to make pom pom attached together to make large rabbits which aren’t only adorable and suitable for kids to makes; but uncannily realistic considering they’re made of pom poms. I was scrolling through google images the other day and these caught my eye and my heart. How cool are these? They’re the best looking shop made Easter cupcakes/recipe I’ve ever seen! I don’t know if they’re this years or not. But I freaking love them. These are utterly outstanding. Good old Lilds putting ditsy onto a cake. by using sprinkles to decorate the ears and long one for whiskers. “Big on quality little on Price”. A fine example of some of their top notch work. 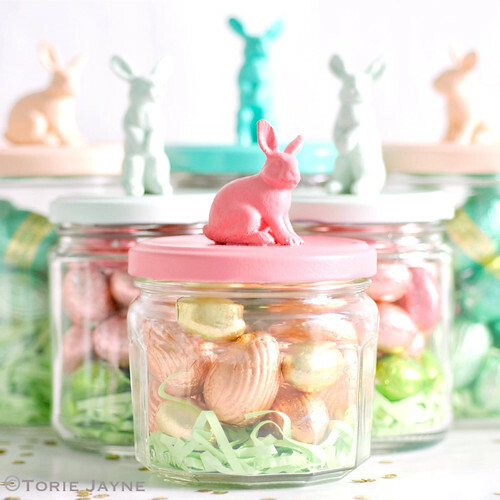 Something I’ve been withering over for a while now is weather or not I should buy materials to make rabbit topped mason jars like the ones made by Torie Jayne filled with little sweeties inside. Personally I think it’s a really clever idea as I’ve seen the the trends going round YouTube of making soap bars or slime with children’s toys inside and think this is a really brilliant craft to make in time for Easter, and hope you do to as I love the little rabbits on top. This would actually be a really good craft for the creator to sell on Etsy or someplace like that, as I believe a lot of people would buy them, however may be quite expensive to make as plastic rabbits cost £5.49 on amazon. 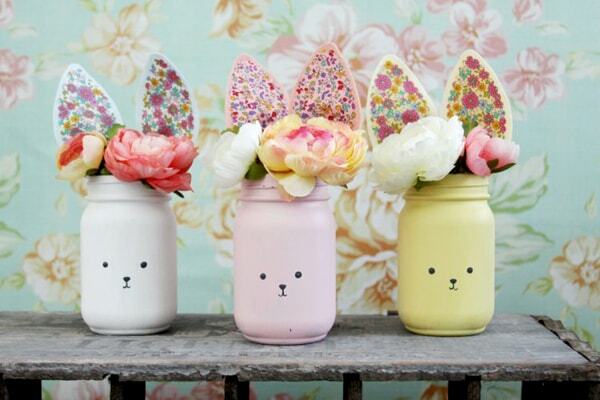 I also love these little rabbit mason jars idea by Bev at flamingotoes.com as they look like the little ditsy rabbit bags you see people making out of burlap at this time of year, but are admittedly way better as i’m sure you’s agree? I think they’re stunning and have them sitting round my dressing table and on the the dinning table, I’d even have them as table displays at my own wedding – if I was old enough to have one, as they’re just so pretty and look gorgeous with the artificial roses inside. 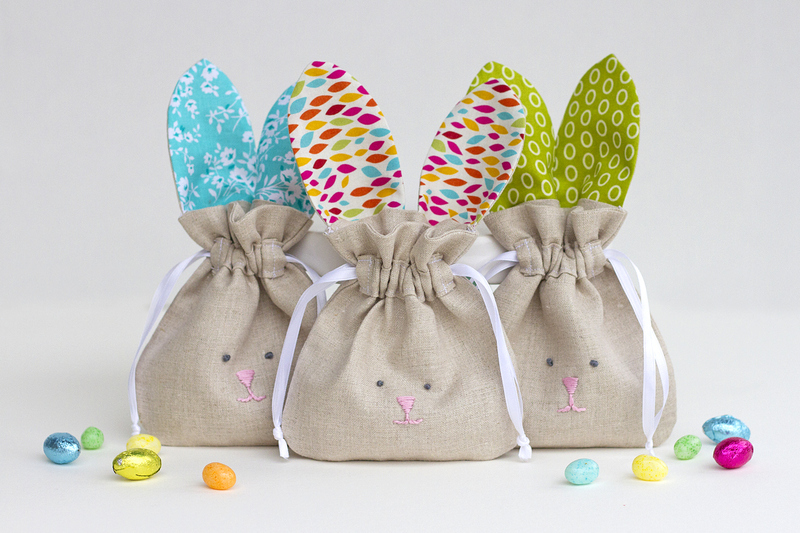 Next up is weallsew’s , burlap bunny sacs, though not exactly the ditsy one I was wanting, but still pretty lovable particularly for children. They’re really easy to make and aren’t all that different from making an traditional drawstring bag. 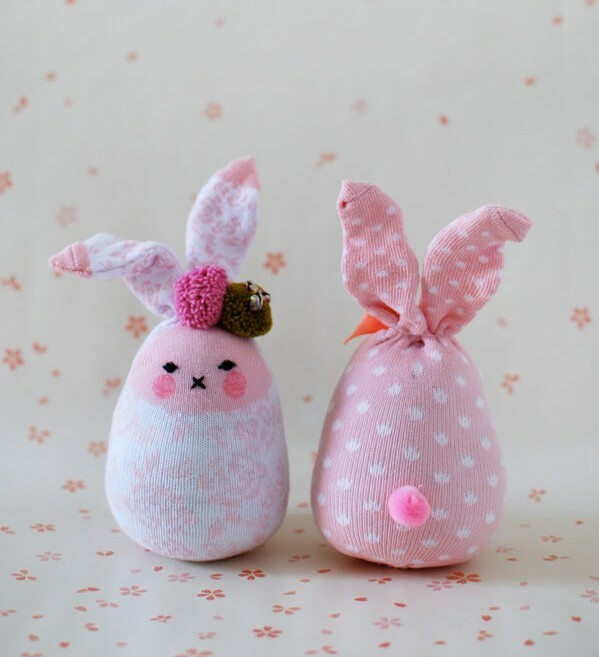 If you can do that you can defiantly master making these for one of your little bunnies this Easter all it requires is a piece of burlap, ribbon and fabric. That you could give to them with chocolate eggs and chickens stuffed inside. I’m not to sure why, but as simple as they are I thought these were rather cute being made out of little pink socks cut and tied into ears decorated with tiny pom poms and bows. I thought maybe while you were stuffing them you could weight them down with some sand and use them for Easter sewing weights. I know my sister loves the idea. I can imagine all 20+ sitting inside my fairy sewing box. Rabbit shaped wreaths seem to be quite on trend this year and I have to admit, it’s quite refreshing to look at. I think my viewers would like it a lot. It’s quite sweet really, I could even see it hung up in a little girls strung with fairy lights. All the instructions to make it are available on Hobby Craft’s blog as I’m sure many you already know. OK, OK I know this is kinda cheating. Its obviously not a rabbit themed craft but instead Salisbury’s fluffy chick Easter terrariums. Which I though was good enough to deserve a place on here and I’m going to make next weekend, woop woop for the wolves. All the products I needed to make them were available on their website. Only I don’t shop at Salisbury so I picked up everything from B&M instead which lucky for you views means my chicks will be in colour instead. I honestly can’t waitttt.